Sri Ash Dua, a very successful self-educated person who started with humble means and attained the best in western world. He came to India after partition. He is very passionate about educating underprivileged children in India. His aim in life is to give the education to empower the children so that they can also attain the best. He donated $8500 for this noble cause. 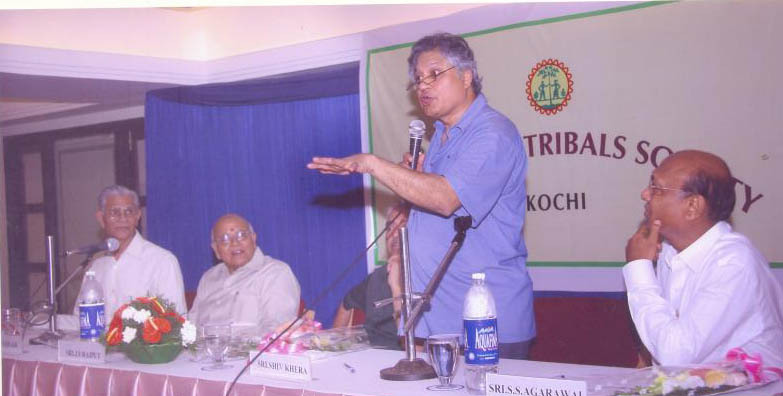 Kochi Chapter of Friends of the Tribal Society (FTS), a Charitable Society dedicated to Tribal education was inaugurated on 16th May, 2008 at Gokul Convention Centre, Kaloor Sri Viswanath Agarwal welcomed the gathering. Sri S.N. Loyaji, National Vice-President, FTS presided over the function. In his presidential speech, he highlighted the salient features of FTS mission in transforming the tribal society through the breadth and length of our nation. Sri S.Sankaran, the FTS coordinator in Kerala made a passionate power point presentation on the holistic approach of the movement upholding the message of Swami Vivekananda. Prof. J.S. Rajput former director of NCERT and former chairman NCTE gave the keynote address. In his lucid address, he emphasized the theme that the source of all strength and energy lies within the inner personality of an individual. It depends on (a) Soul (b) Society and (c) Nature. All these contribute to the growth of a personality of an individual and the society he belongs to. There are limitations on the part of the government in providing education to all sections of society and organization like FTS has to fill the gaps. The education must be based on the culture of the country to which an individual belongs. He reminded the members that with the use of technology we are connected through out the globe, but we have not become good neighbors. The erosion in the values among the citizens is affecting the people in the lower strata of society, as the fortunate brothers in the society do not consider it as their duty to develop and assist the unfortunate. He informed that he was a member of the committee which made its recommendations to Government of India on 14-11-2002 through NCERT. The recommendations given in the report dated 14-11-2002 were the following. (1) The children should be taught the basics of all religions to develop a value-based society. (2) The values such as honesty, integrity, character, faith, confidence, truthfulness exhorted in different scriptures of various religions are universal in nature and there is no difference among them. Hence, there must be very systematic and methodical process to inculcate values among the students in the school level itself. (3) Due importance has to be given for teaching mother tongue of the students in the schools. For this it must be remembered that the common link of all the regional languages in India is Sanskrit language and consequently SANSKRIT has a great place in the system of education in India. The recommendation was to teach Sanskrit in the classes in the school level. (4) Teaching of Vedic mathematics in the classes will sharpen the intellect of the students. Dr. Rajput further informed that NCERT has brougth out a 40-page book on the advantage of learning Sanskrit language. He quoted Sri Lenin "I can predict the future of a country if I listen to the songs that the children sing." Sri Shiv Khera the well-known author, speaker and educationist, delivered the inaugural address on the occasion. He exhorted the audience about the urgent need for developing a better India. 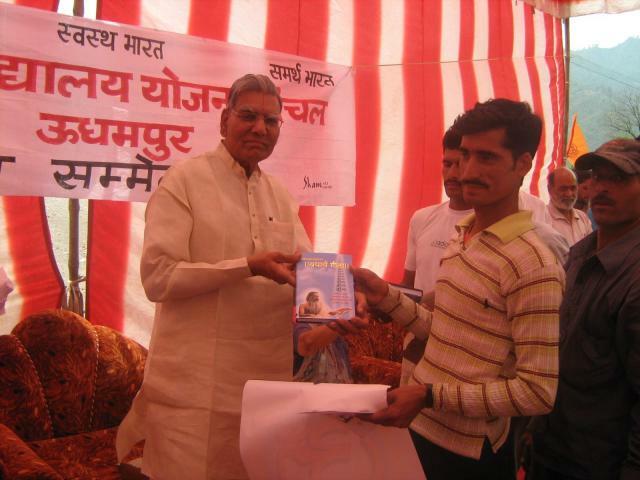 While Sri Rajput gave the strategy and techniques to build up resources for creating better citizens, Sri Shiv Khera gave the direction in which these resources, strategy and techniques have to be applied so that ultimately we reach the correct destination. Shiv Khera started his speech with a clear message that FTS has taken up a noble mission to serve the most deprived people of India. He reminded that with education and developing value system, we need lesser jails. Surprisingly, the average age of the criminals in India is showing a declining trend. It indicates the increase of the criminal mentality among the youth and the children of the country. He pointed out that the cause for this state of affairs is the deplorable degradation of values. He said that education without morals creates only maniacs. Education with strong focus on values, virtues and culture alone create and generate mature citizens of impeccable character. To create harmony and love among the members of the society, mutual respect and reverence need to be cultivated. The values such as honesty, integrity are universal in nature irrespective of caste, creed, religion, country or time. The challenge and the opportunity for us is to establish high morals and inculcate value system and develop noble character among the children of this country. Human beings all over the world have more similarities than differences. Integrity has the same meaning everywhere. The respect and dignity of an individual and the members of the society can be obtained individually and collectively only through education. He recalled the quotation of Swami Vivekanandaji that “your country is your mother”. Hands serving the humanity are holier than the lips that pray. He stated that visiting the tribal and helping them in getting education, inspiring them by visiting their homes is the real pilgrimage of a devotee. Real pilgrimage and worship lies in serving the mankind. Tolerance beyond certain level is cowardice. He referred to terrorism spreading across length and breadth of the country. He told no other country would have tolerated influx of 3 crore Bangladeshis. Bharat can become Vishwa Guru in 2011 provided it remains still on the world map. If we remain passive spectators to the atrocities happening around us, we also become parties to the crimes. He urged the participants to take positive action in forming a team of committed, sincere, and educated patriots to serve our mother country. Shiv Khera further offered to help FTS in its fund raising activities by providing his services. Sri M.L. Jain, administered oath to the Executive Committee consisting of eminent professionals and industrialists with Sri Venugopal C. Govind, the leading Chartered Accountant as Patron and Sri. S.S. Agarwal, an industrialist, as President of Kochi Chapter. Following Sri Agarwal’s acceptance speech, Sri Gopalakrishnan, director of Dena Bank summarized the highlights of the speeches and prosed vote of thanks. The meeting was well attended and the participants pledged spontaneous support to the noble mission. After presentation of mementos to the speakers, the Ekal children presented colorful cultural programmes –Group dances, Drama, Songs to the delight of audience, followed by a sumptuous dinner. Smt Pushpa Mundra, Smt Damani and Smt Shiv Khera gave away presents to the Ekal children. FTS has set up 510 One-Teacher Schools in the tribal belts of Kerala and has plans to set up another 500 schools in the next 5 years. It has also plans to set up Vocational Training School in Irinjalakuda and “Go-shala” to provide self-employment opportunities for tribals and temple renovation. 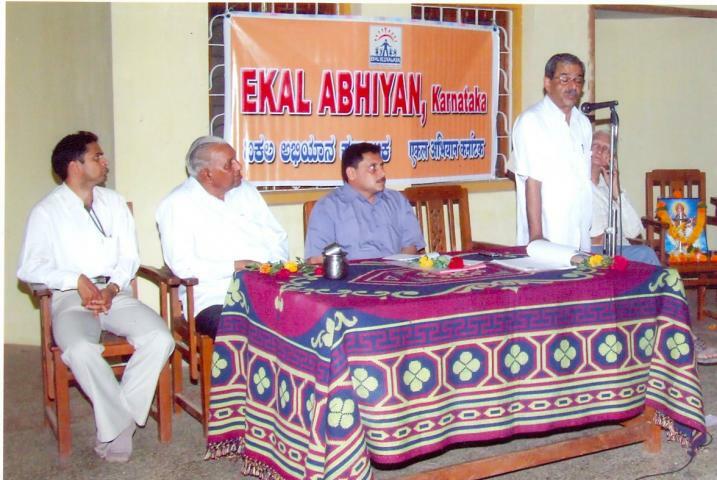 EKAL Jagran Abhiyan (EKAL Awareness Programme) was held at Shivsamark, Khanapur on 9th April 2008 for our well wishers and donors in and around the town to make them aware more about Ekal Schools & Gram Vikas projects. Sri Suresh Hundreji, President Ekal Abhiyan, Karnataka was the Chief Guest & main speaker. Dr.R.S. Harwadekar, Khanapur - Anchal President, Dr.P.T.Patil - Khanapur Sankul President, Sri V.A Joshi, industrialist and our donor, Sri Banoshi – a well wisher were others on the dias. The programme began with Omkar, Saraswati Vandana and a patriotic song. 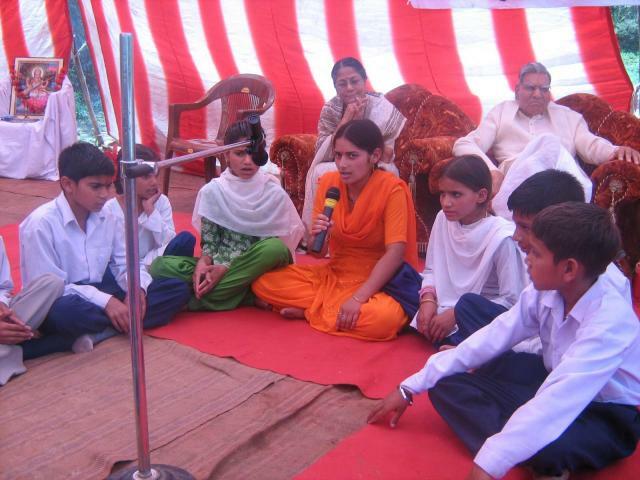 The Ekal School students from Bacholi Village presented some songs in a melodious manner. Dr. P.T. 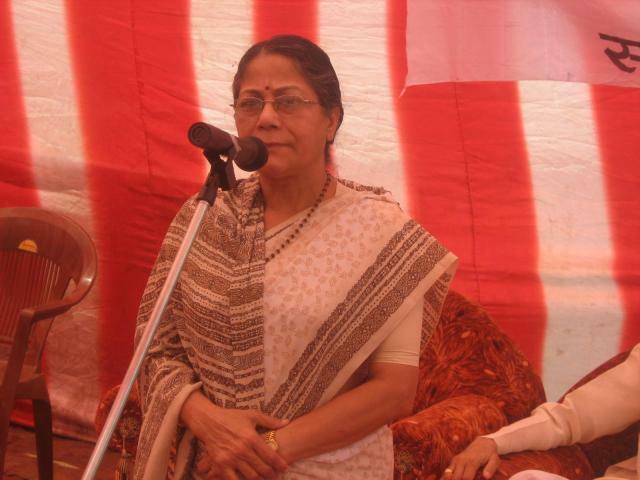 Patil welcomed the dignitaries and the invitees to the programme. Sri Dilip Patil, Secretary of Khanapur Anchal gave a brief history and details of the Ekal Schools and Gram Vikas projects in and around Khanapur. He also briefed about the setup of committees at various levels. Chief Guest Sri Suresh Hundre spoke about the Ekal Movement, the history, the present and the future. He asked the audience to join this great Ekal Movement and give their support in any of the forms of TAN, MAN & DHAN. He also talked on Gram Vikas Projects and especially of VERMI COMPOST which has gained a good momentum in villages where Ekal Schools are being run. He stressed that by supporting Ekal Abhiyan Project one’s dream of seeing Samruddha Bharat, Sakshara Bharat, Samartha Bharat and Swastha Bharat will be fulfilled. Industrialist Sri V.A. Joshi also addressed the gathering and congratulated Sri Suresh Hundre and his team for the wonderful project and also asked all to join the movement. Another well wisher and retired teacher Sri Banoshi also spoke on the occasion and appreciated the Ekal Abhiyan project towards education, self sustenance and health promised to support the programme of Ekal. Dr. R. S. Harwadekar spoke on the Ekal’s existence at Khanapur and its progress. He appreciated the working and functioning of Sri Suresh Hundreji who has given a new direction to Ekal Movement. He also requested the gathering to join and co-operate in this movement. To conclude Sri Vasant Desai, Anchal member proposed the vote of thanks. 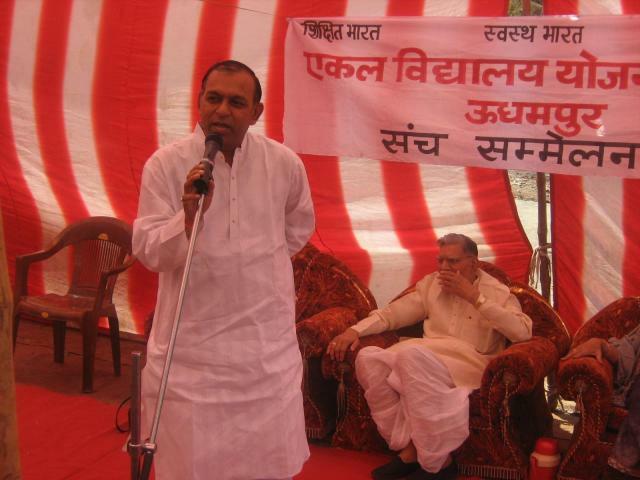 Sri Sanjay Kubal - Sankul member was the Master of Ceremony. Sri Dilip Naik, Shri Nandkishore Nikharge, Sri Ketkar, Sri Kiran Patil from Belgaum graced the occasion. Khanapur Anchal & Sankul members were present in large numbers and worked for the smooth conduct of the programme. Invitees, including ladies, in large numbers graced the programme which ended with Shanti Mantra followed by Tea & biscuits. One Smt Vijayawargiya has offered free medical attendance even ambulance pick up for all our Ekal brothers and sisters in her husband’s Sri Suresh Vijayawargiya's People's hospital. She was brought to the Ekal fold by Smt Asha Shukla to our cause through Sewa Patra yojana. Immediately thereafter her husband got a long pending permission for the opening of a college. She attributes it to the Sewa Patra and donated one school. She has been donating 100 packets of Sattoo and chappals for our Karyakartas for last 4 years. Whenever Ashaji goes for review of schools a medical van with a Doctor from their hospital accompanies for check up of the children. Once when Sri and Smt Shukla were away from Bhopal one of our Karyakarta had a medical emergency. Smt Vijayawargiya was approached and she very promptly got all the medical attention for him. She says that she felt happy that the Karyakartas considered her their own like Asha Didi. 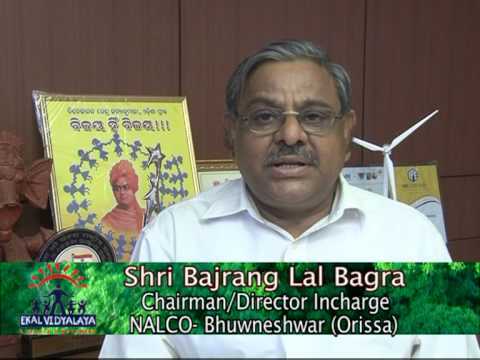 Sri Vijayawargiya is the owner of People's group of educational institutions, hospitals and medical colleges in Bhopal. Sri S.B. 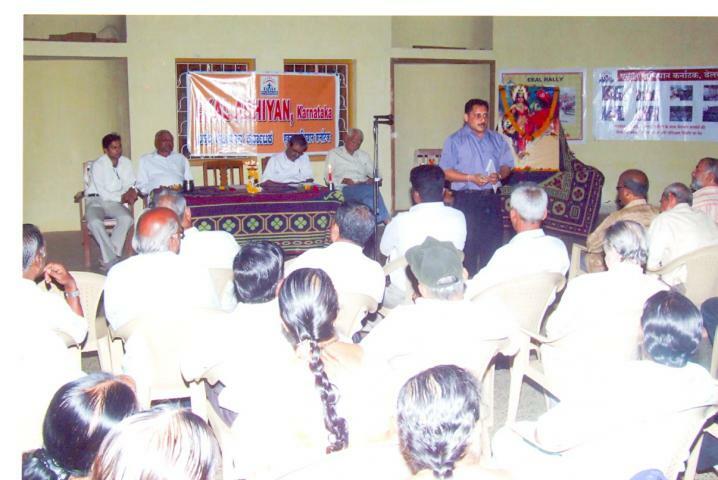 Hundre Ji, President SVO BELGAUM, presented his concept of TAN, MAN, DHAN in the South Zone Samanvay Varg. He asked everyone to find out who we are for Ekal. Sri Rameshwar Lal Kabra, National President of FTS and his wife our Majee, Sri Anant Loya an industrialist from Delhi alongwith Smt. Manjushree reached Jammu on13th May 2008. 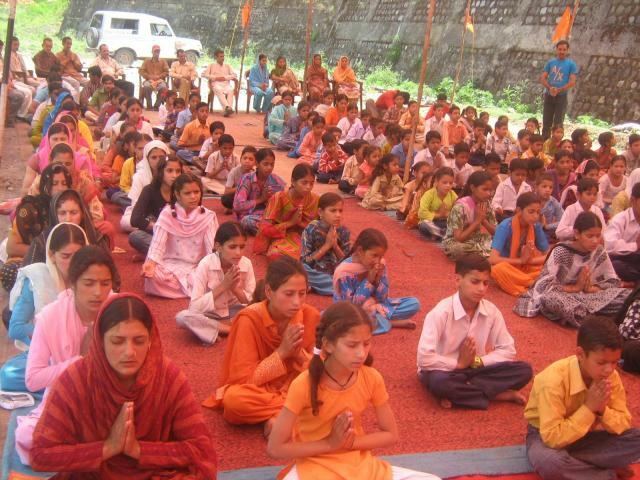 Jammu is gearing up for becoming the fifth Chapter of the Bharat Lok Shiksha Parishad (BLSP), the partner organization of Ekal Movement, on the 25th May 2008. The prospective managing team of the upcoming Chapter came to meet us at Sri Deewan Chand Bansal’s residence, who is a well known industrialist and highly respected social worker of Jammu. 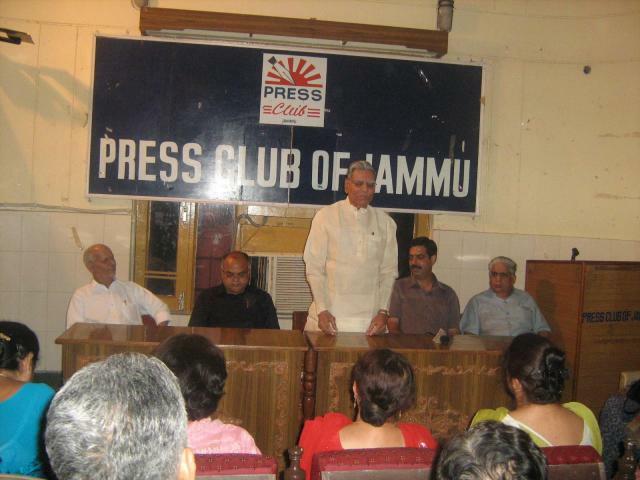 Bapuji (Sri Kabra ji) addressed the public meeting at 4 PM in the Press Club, Jammu. The meeting was organised by the Chapter Committee. 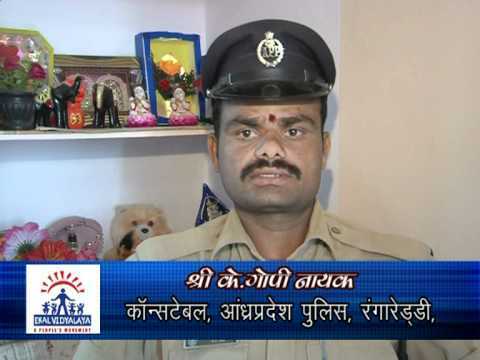 After the inspiring talk of Bapuji, every body became eager to be associated with Ekal Yojna. The same evening we went to Reasi district of Jammu by car. Reasi is the Sankul center (sub-area) of Ekal. The Sankul Samiti members came to meet us at advocate Shri Ajay Nanda’s house. In the morning we went to village ‘Arnas’, the cluster (Sanch) center of Ekal. The villagers here basically live on periodical agriculture. Some are earning their livelihood by running small shops. No industrial development in the area and therefore no job availability. This was the first time that any person of Kabraji’s stature had visited the village. Hence, the villagers and the Ekal Karyakartas were very excited. They had organized a cultural programme by Ekal children and a meeting with Gram Samiti members of adjoining villages in Arnas, the cluster centre. Especially Gram Samity members openly appreciated Ekal Vidyalaya for helping their children get educated. We all had lunch together with the villagers. There were 175 Ekal children from 10 Ekal schools, 47 teachers including 14 lady teachers and 25 Gram Samiti members, some of them have traveled upto 34 kms to reach the meeting. The spoken language in J&K is Dogri, State language is Urdu and education medium is English. Hence, it was amazing to see the Ekal children and the teachers singing beautiful patriotic and devotional songs in Hindi and Dogri. They also recited Shloka’s and Mantra’s of Goddess Devi and Lord Vishnu. “He Veer Javano Yeh Desh Hamara Hai ! We reached Udhampur, the Anchal Centre from Arnas. 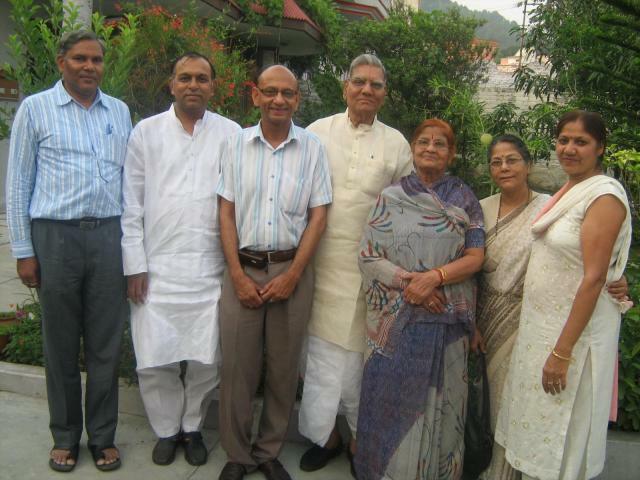 Here we met Anchal Samity President, Sri Rajendra Mahajan and his wife Rajni at their home. The Samity members (local people) expressed thier faith and hope in Ekal Yojana. They confirmed their belief in Ekal Yojana and said it would help villagers contain peace and prosperity in long run. 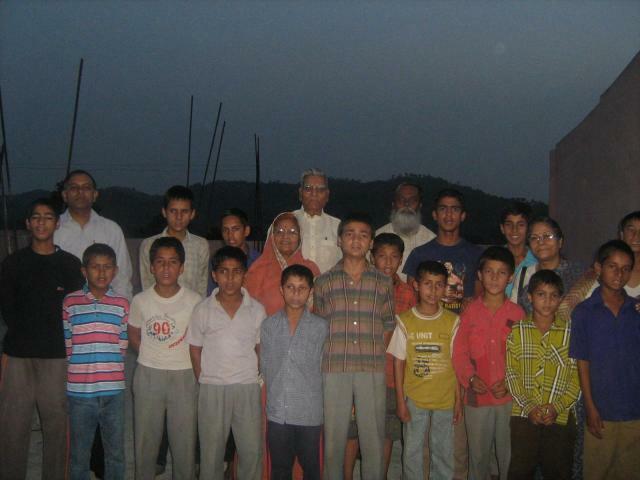 Then we visited two hostels in Jammu run by Seva Bharati, each one for girls and boys separately. The boys hostel was situated at the foot of Maa Vaishno Devi near Katra. The inmates 19 boys, 4 of them Budhist from Leh, 5 Muslims and rest Hindus, all orphaned by the militants, live in perfect harmony and get education with Sanskar. They served us tea and sang patriotic song. Their incharge Sri Jaidev is really very proud of them. The children have come out of the darkness and are looking forward to see the New Light of Hope for the future. Yesterday I returned from a 3 weeks visit to India. The highlight of this trip was my visit to an Ekal School in village Mahaddipur in Jehanabad district of Bihar. As we know this entire belt of Bihar is infamous for illiteracy, poverty, unemployment, and social violence. 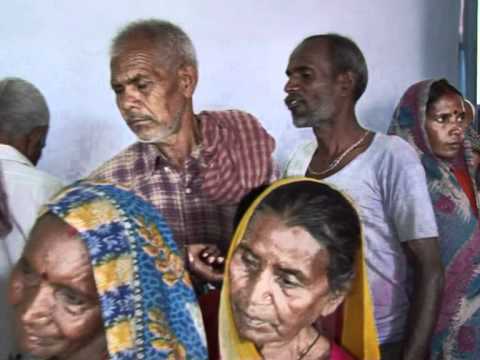 Every person that I spoke to advised me not to visit an interior village in Jehanabad specially due to my NRI status. Only exceptions were Shyamji Gupta and Uday Prasadji (Aanchal Pramukh for this region). Daily newspapers are filled with reports of violence, kidnappings, lootings etc. hence I decided not to carry any camera,camcorder etc. so that I do not draw undue local attention. My brother-in-law, who works in Patna (as an auditor) and Udayji accompanied me during the visit. 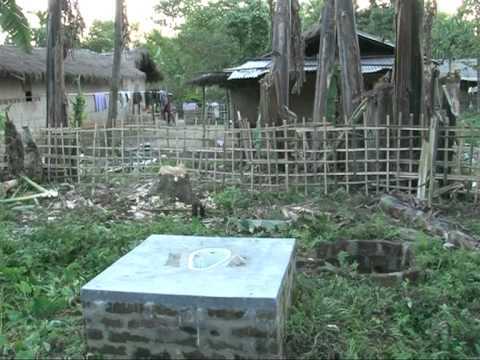 The village is about 30 kilometers from the town of Jehanabad and it takes about 1.5 hours by road to reach there. We hired an auto-rickshaw which accommodated us well. Knowing Bihar I did not expect better roads, but when we were passing thru a patch of about 8 km of potholes, I thought we should have hired a tractor for this visit. It is not easy to describe in words about the Ekal school, the teacher and the children. My brother-in-law who had not heard of the Ekal schools, had never attended any of the Sangh functions, who lives in Bihar and 'knows' the local culture (including tricks of many NGOs to collect NRI funding) and who carries an 'auditor's eyes' was so impressed that he promised Udayji to provide all support that he can for this cause. It was not my intention to 'test' the students, but to know how far these children have learnt and benefited from Ekal school. Certain aspects were there for all to observe e.g. the discipline (sitting in rows, answering roll call, singing together etc. - these are things that you cannot learn in a day or two, you need collective learning for weeks), confidence and enthusiasm (there were multiple hands raised to every single question that I asked, there was no hesitation in coming up to the black board to solve a mathematical problem), general knowledge (I asked one of the students to draw the map of India and name our neighbors which he did) etc. My primary education was in a vernacular medium school where we started learning English from class 4. Since they were class 2/3 students, I was hesitant in asking any questions related to the English language. However, here also the students surprised me by spelling 'education', 'second', 'thirteen', etc. Lastly, when all the students joined me in singing the Indian national anthem in one voice, there was no doubt in my mind that every single penny that we spend on Ekal is well-spent for one of the most worthy causes of our time. Sri Dinesh Chandra Agarwalji of FTS, Erode visited NETHALAPURAM village in the Thalavady Sankul of Erode Anchal with his friend Sri Gajanandji.